Southwest of the Markt and the Burg are several more attractions within a short distance of each other. However, they are not grouped together around a square as at the Markt or the Burg and thus some searching is required. 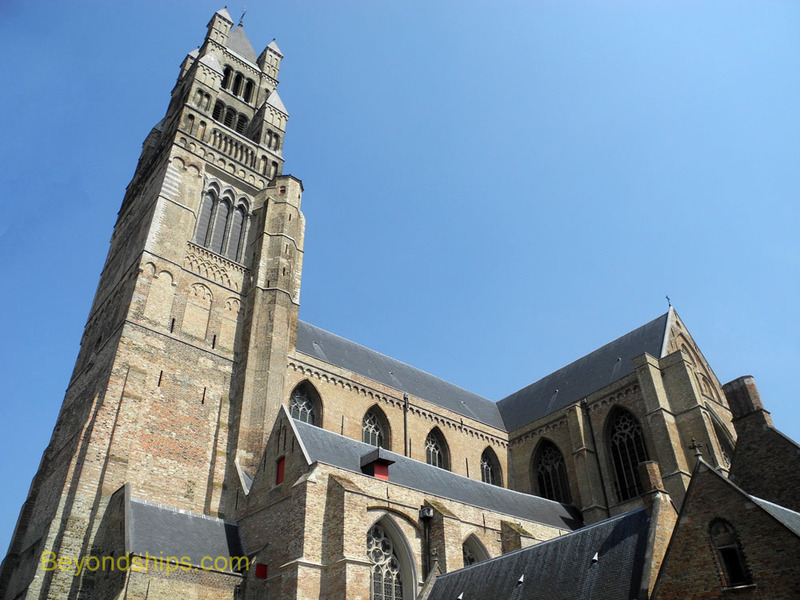 The spire of the Church of Our Lady is the tallest in Bruges, extending some 122 meters into the sky. Begun in 1230, the church is in the Gothic style but much of the decoration inside is Baroque. The highpoint of the interior is one of the few Michelangelo statues found outside of Italy. The Madonna and Child (1504) was acquired by two local merchants while in Italy and donated to the church in 1511. As depicted in the film “Monuments Men,” the statue was taken by the Nazis during the German retreat from this area but was recovered from the Nazi stolen art stash in a mine in Austria at the end of World War II. Across the street from the Church of Our Lady is the Old St. John's Hospital (Sint-Jansspital). 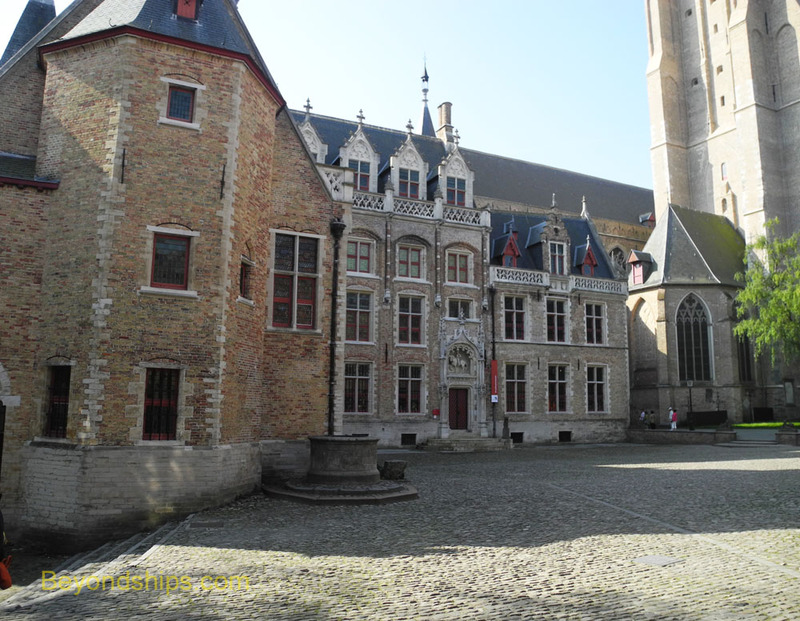 This is the oldest building in Bruges created in the 11th century as a hospital for pilgrims and other travelers. It was expanded in the 19th century with the addition of a monastery and convent. Today, it s has exhibits relating to its time as a hospital. However, it is primarily an art center with a museum dedicated to the works of Hans Memling. There are also modern art exhibitions in the surrounding buildings. Nearby is the Gruuthuse Museum. In the 19th century, members of the local Archeological Society began to collect art and architectural pieces relating to Flemish history. In 1876, the 15th century palace that had been the residence of the Lords of Gruuthuse was purchased in order to house the Society's collection. It includes goldware, lace, ceramics and tapestries. Proceeding north up the street Helilge-Geeststr from the Church of Our Lady, you come to St. Salvator Cathedral. Although the building dates from the 12th century, it has only been a cathedral since the 19th century. Bruges' original cathedral was destroyed and its bishop evicted by soldiers of the French Revolution at the end of the 18th century. When a new bishop was created in the 1830s, St. Salvator was elevated to the status of a cathedral. It was felt that the church's tower should be extended to a height befitting this change in status. Thus, while most of the building is medieval, the upper portion of its impressive tower dates from the 19th century. 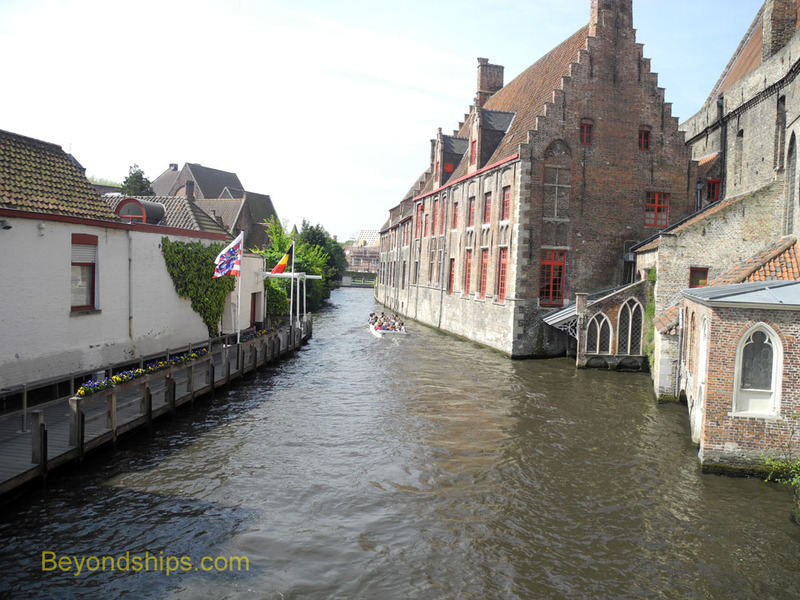 Bruges has a number of other museums scattered around the city covering everything from diamonds to French fries (a Belgian dish) to lamps. Two are particularly noteworthy. The Groeninge Museum is the city's museum of fine arts. 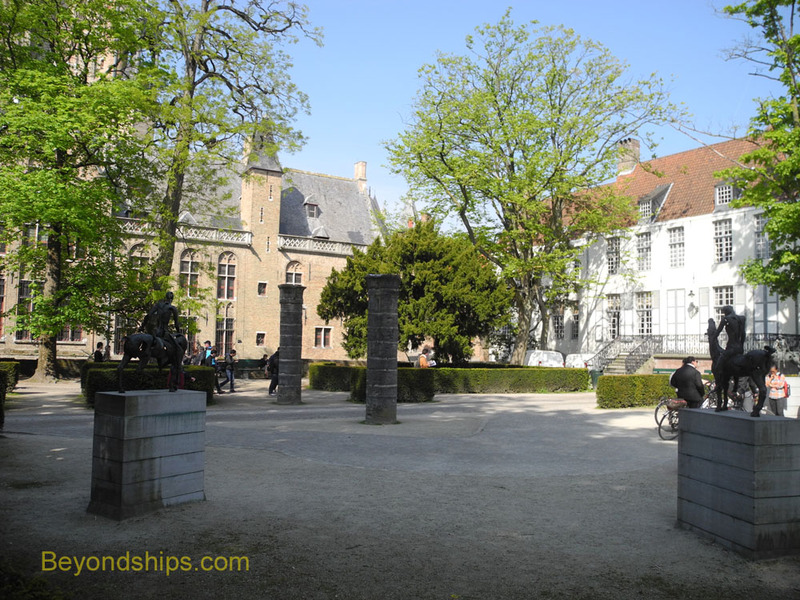 Located on the site of the Eekhoot Abbey, it was created to centralize Bruges collection of fine art. It includes works by Jan Van Eyck and Hieronymus Bosch. Muse Arentshus is housed in an 18th century mansion. Its collection includes works by the English painter Frank Brangwyn. 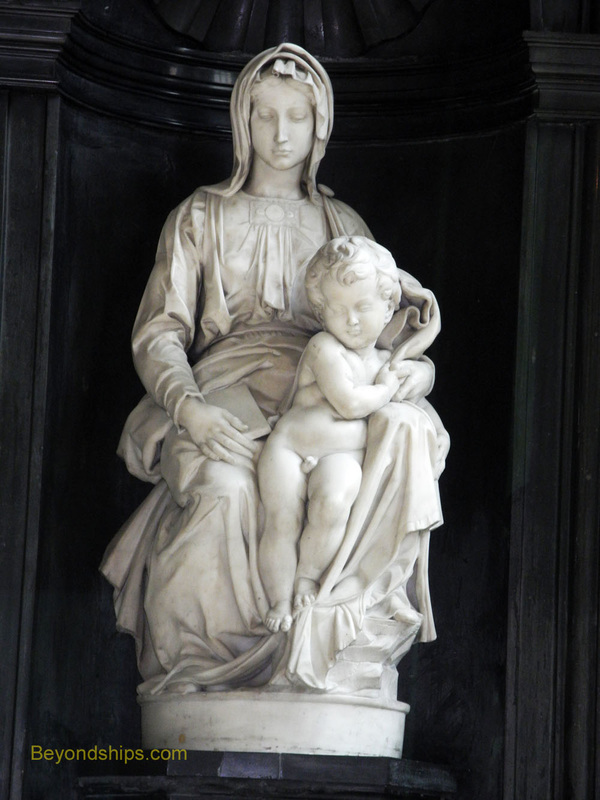 Above: Michelangelo's Madonna and Child. Below: Old St. John's Hospital. Above: The The Gruuthuse Museum.